Recovering damaged and lost data is tedious. It can only be done using tested data recovery software. We are covering here top 10 data recovery tools from different vendors that can help in you restoring your valuable data. Probably it’s the best among the list of the best data recovery software 2019. The Recuva software comes free and can allow users to to restore files from multiple devices including hard drives, memory cards, external drives, CDs and DVDs. Its deep scan mode lets scan the drivers deeply to find and restore hidden and damaged files. The software is able to recover files from damaged or formatted disks. It comes packed with a secure overwrite feature built around industry & military standard deletion techniques. The software offers full support for all available Windows version and supports both FAT and File NTFS systems. Puran File Recovery is another best free file recovery software with amazing features. The software can help you recover files and data from different storage devices. The software comes packed with different recovery modes depending on the type and complexities of the recovery required. The Puran file recovery software identifies most of the deleted files and presents a list of files to be recovered. It’s amazingly powerful in finding and restoring deleted files and can track and restore lost partitions if they haven’t been overwritten. The software is compatible with Windows XP, Vista, 7, 8 and 10. There is also a portable version for both 32-bit and 64-bit Windows. 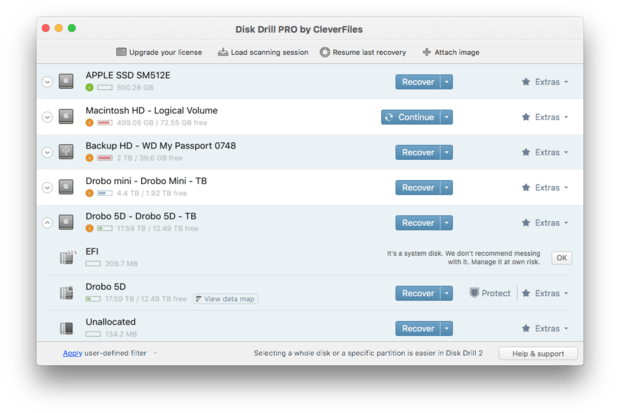 Our third best free data recovery software is Disk Drill. The software is decently designed with engaging user interface and worthwhile features. 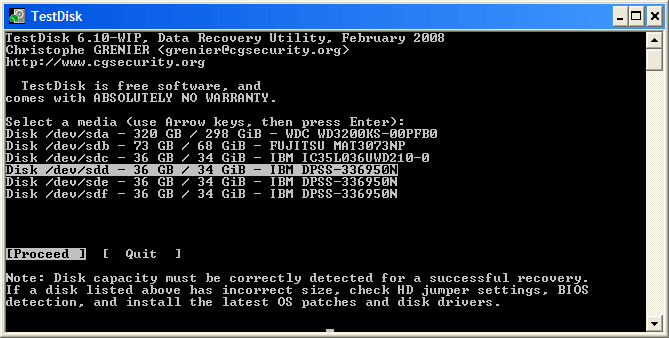 The USP of Disk drill recovery is that it can recover up to 500 from any storage device. The software pops up preview of images of the files before running the recovery. In addition, the software even allows you to pause and resume a scan and perform partition recovery. Users can filter the files by size and file type for a convenient recovery. With the software you can save the recovery session for later use. It’s can fetch and recover even older files. 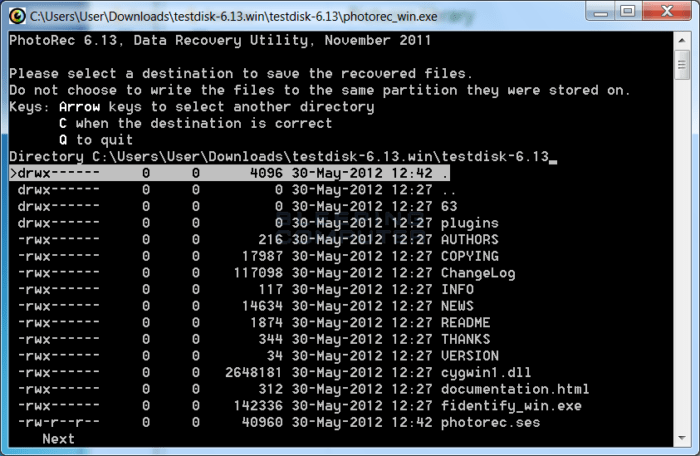 TestDisk is open source data recovery software. The software is very much able to recover lost partitions and fix non-booting disks. This data recovery software tool comes packed with good features and delivers excellent results. With the software, you can even recover and rebuild the boot sector. The downside with the software is that it’s command line tool. Therefore, it’s not fairly used by novice or non-technical person. The software is available for Windows and Mac platforms. Looking for ultra fast and efficient best free data recovery software? Undelete is your pick. The Undelete 360 can recover files from devices like digital cameras, hard disk, USB storage devices, and memory cards. The software populates the preview files before running actual recovery. 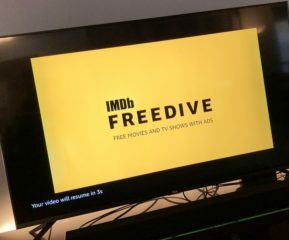 The software can recover your personal data from many storage devices such as Digital cameras, memory cards, smartphones, computer hard drives, USBs etc. The software can recover data from multiple file types including DOCX, HTML, AVI, MP$, MP3, JPG, PNG and more. It supports most of the available Windows platforms. PhotoRec is another top notch best free data recovery software tool to recover lost and damaged data from storage devices. Besides recovering lost photos, the software can also recover videos, documents and archive files. 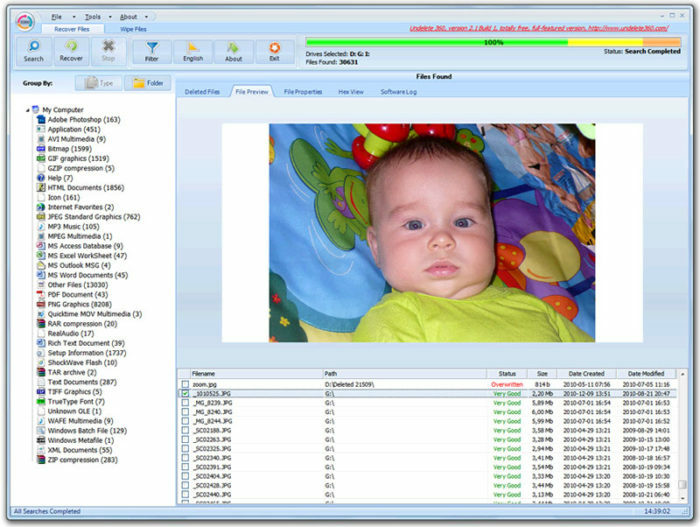 The PhotoRec data recovery software is a free and open source tool. 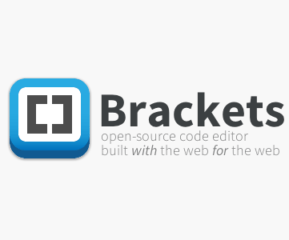 The software is compatible on Windows, Linux, MacOS X, Sun Solaris, and FreeBSD platforms. 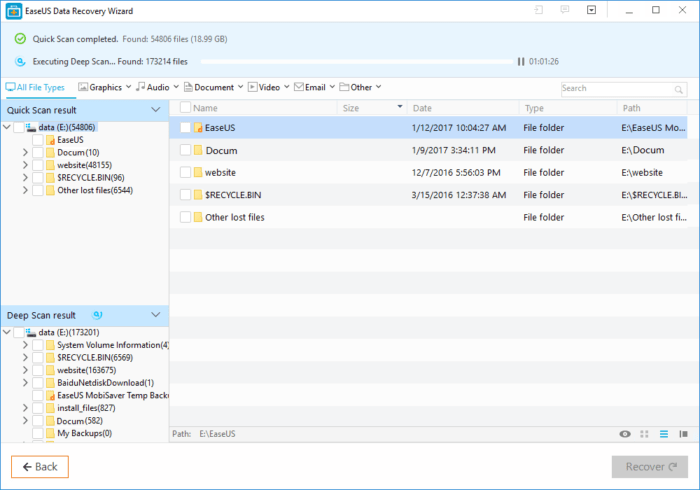 EaseUS Data Recovery Wizard is excellent best free and paid data recovery software that lets you recover up to 2GB of data using the free version of the tool. The tool comes packed with deep scan and many more worthwhile features. The software can restore and recover data from external hard drives, internal hard disks, memory cards, mobile phones and other devices as well. It’s compatible for both Windows and MacOS. Glary Undelete is our next data recovery software tool. The software boasts of its clean interface and powerful data recovery features. 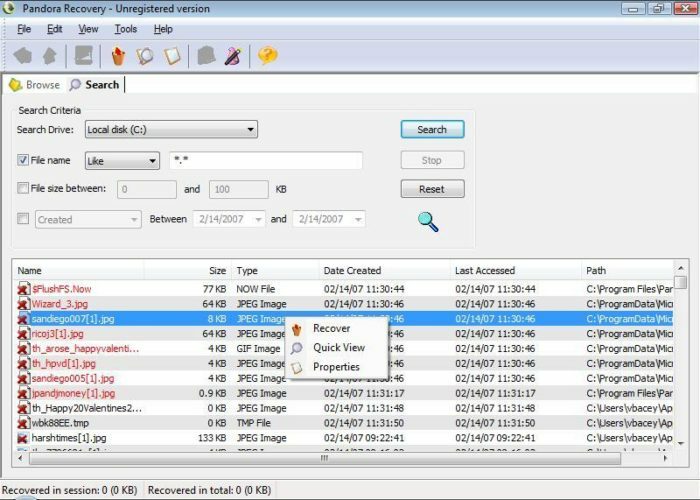 Glary undelete features a quick and deep scan and multiple filters to narrow down your file search for recovery. The tool works flawlessly with the widest file formats and storage devices. The downside with the software is that it forces to install the companion software from the vendor for maximum benefits. Pandora Recovery is one among the most sought after best free data recovery software 2019. The software is able to recover recently deleted files and supports hard drives, memory cards, and more storage devices for recovery. 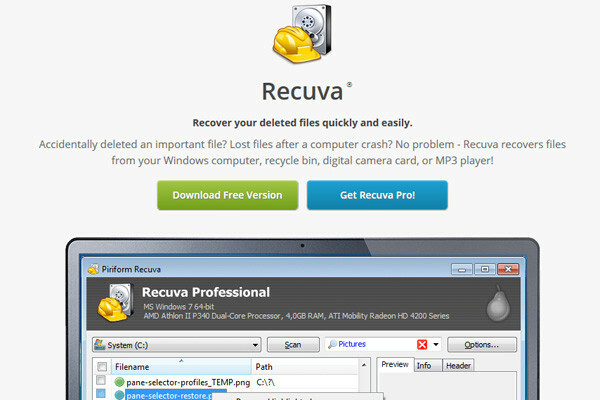 The recovery software also populates the preview of certain file formats before performing recovery. The features that make the tool n impressive one includes Quick Scan, Deep Scan, Lost Partition Recovery and many more. The Panda Recovery software tool is best to use on all available versions of Windows OS. Its free version can recover up to 500MB. SoftPerfect File Recovery is very small software and comes in just 0.5 MB of size. It is a less powerful tool and cannot recover corrupted or overwritten files. It supports multiple languages. It lacks Preview, does not show the health of the files to be recovered and Doesn’t allow restoration of recovered files on the same disk. The tool is quite compatible with both FAT and NTFS file systems and supports compressed and encrypted file volumes as well.